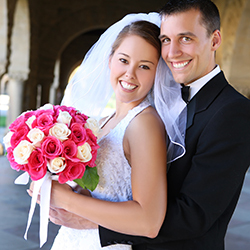 The good news is once you've said "I do" to getting married, you and your spouse-to-be can explore ways to save when it comes to your home insurance and auto insurance, credit cards, and personal finances. There are also new financial products to consider, including getting your first mortgage and obtaining life insurance. Thankfully, there are plenty of ways to save here too. Related Read: Is Mortgage Life Insurance Or Term Life Insurance The Best Choice For You? Knowing what to look for can help you save hundreds of dollars a year off your insurance, mortgage and credit card products. The following infographic breaks down areas where you could be saving money and spending smarter. After all, isn't it time you say, "I do" to savings as well?